Are you tired of just being a number in a system? The services at 3DW are personalized to each individual. Over 10 years ago, I made the switch to become a Functional Medicine practitioner. Traditional medicine just wasn’t doing it for me or my patients. I wanted to gain more control over my own personal health, while providing better quality service and time to my patients. If you’re tired of seeing your healthcare providers for a mere few minutes, continuing to “maintain” your current state of health, and not knowing another option, Functional Medicine might just be the answer you need. Instead of treating the symptoms of a patient, like traditional healthcare, Functional Medicine focuses on pinpointing the root cause of your medical issues. 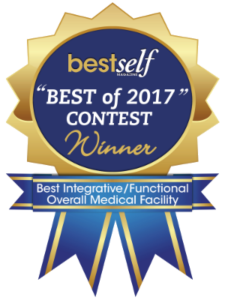 Functional Medicine practitioners focus on a systematic healing approach incorporating mind/body therapy as a means to treat the whole person. We, at Three D Wellness, teach people how to tap into their innate ability for the body to heal itself through lifestyle modification by adopting a plant-based non-GMO diet, eating anti-inflammatory foods and utilizing stress management tools. This may also include nutritional and/or herbal therapy. The majority of our services are not covered by insurance because our current healthcare system puts more emphasis on disease management and less on prevention. Don’t get me wrong– it is great at treating acute/emergency issues, but lacks in treating chronic disease. Many of our patients pay for their services by taking advantage of their Flex Spending/Health Savings Account. If you are not currently enrolled, contact your employer about enrollment. We are a participating provider with Liberty Health Share. Liberty Health Share is a non-profit health cost-sharing ministry that acts as a clearing house for those who have medical expenses and those who desire to share the burden of those medical expenses. Their programs are cost effective and available for individuals and families. We have patients actively participating in the program with success. Timing is everything. Enrollment for most insurances is just around the corner, take advantage of FSA/HAS, if your company provide it. It is tax-free dollars taken off the gross therefore decreasing your taxable income, plus most companies have some sort of a deductible. This allows you to take control of your healthcare. 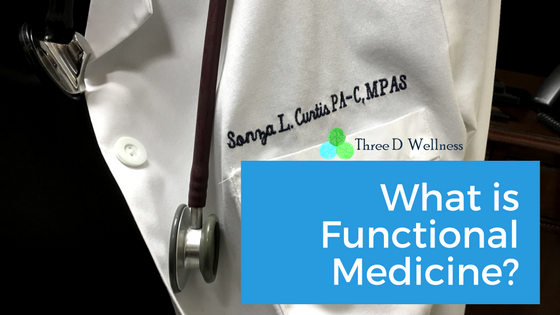 For more information on Functional Medicine and Three D Wellness, contact us.